A non-profit organization is one that is formed for any other purpose other than making a profit. Instead of distributing the profit among the directorsBoard of DirectorsA board of directors is essentially a panel of people who are elected to represent shareholders. Every public company is legally required to install a board of directors; nonprofit organizations and many private companies – while not required to – also establish a board of directors. and members, it is cycled back into the organization to help in achieving its mission. A non-profit organization can take any business structure, including a partnership, an individual enterprise, or a corporationCorporationWhat is a corporation? A corporation is a legal entity created by individuals, stockholders, or shareholders, with the purpose of operating for profit. The creation involves a legal process called incorporation where legal documents containing the primary purpose of the business, name, and location. However, during its creation, the organization needs to be designated as a non-profit, and it can only pursue those goals that are stipulated in the statutes of non-profit organizations. In light of the current economy, starting and sustaining a non-profit organization can be challenging. There are tons of non-profit organizations throughout the US, but a majority of them struggle because of limited funding. To avoid facing similar challenges, one should follow certain steps when starting a non-profit. 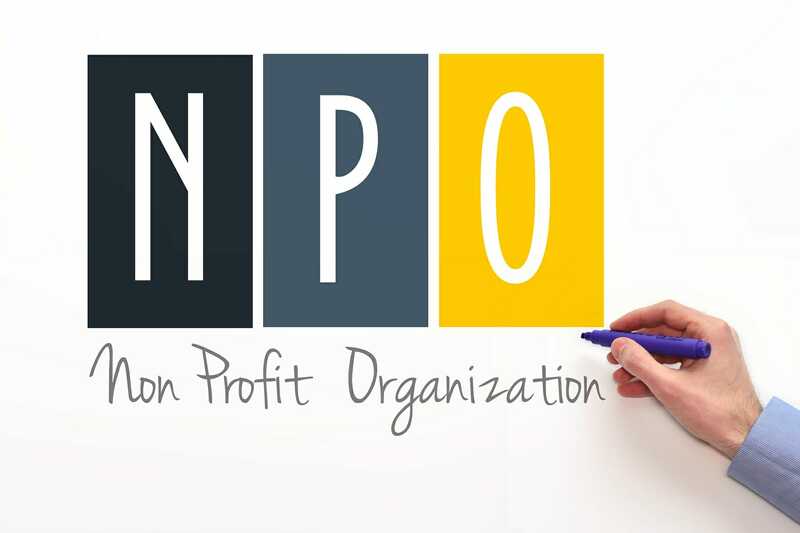 This article explains how an individual can start a non-profit organization. Before anything else, an individual should establish whether there’s a need in the community that warrants starting a non-profit organization. If an entrepreneur decides to launch a business, the first thing he would do is define the “demand” and “target market” for his products or services. It is no different when it comes to a non-profit organization. If one plans to attract any funding from donors and sponsors, then he should demonstrate that there’s a need and that his organization is best suited to address this need. Although many people take these two aspects lightly, they are as important as other details of the non-profit organization. The name will be the key identity of the organization, so it must be relevant. On the same note, the individuals who will become a part of the organization will be interested in knowing the goals and objectives. So, one should take the time to come up with the right name and mission statementMission StatementA mission statement defines what line of business a company is in, and why it exists or what purpose it serves. Every company should have a precise statemen for the non-profit. One major mistake that a majority of founders make is to skip ahead to incorporating the non-profit organization before they create a business plan. A business plan is not just vital for the profit-making companies; it’s equally important for a non-profit organization. Executive summary – This is a brief overview of the contents highlighted in the business plan. Products and services – In this section, an individual should explain the exact need and value that the nonprofit will be creating. Apart from membership and events, the nonprofit can offer additional products like t-shirts to help raise money for the cause. Market analysis – This section should describe the market landscape – the non-profit’s competitors, stakeholders, and a comprehensive SWOT analysisSWOT AnalysisA SWOT analysis is used to study the internal and external environments of a company and is part of a company’s strategic planning process. In addition, a. Marketing plan – A strong marketing plan is one of the key determinants of the non-profit’s success. It should include three things: who the non-profit will service, how it will identify these people, and how it will convince people to support the nonprofit. Operational schedule – This is just another way of describing the location, necessary supplies and equipment, and the volunteers or staff that the non-profit will need. Organizational structure – Under this section, an individual should provide a list of his staff and their respective roles. Financial plan – This part will explain the different ways in which the non-profit plans to raise revenue. Private contributions – Individual donors can be a source of regular funding. Alternatively, the non-profit can plan fundraising events or look for corporate sponsors. Government grants – If the non-profit will be relying on government grants, its owners should fill out the application forms correctly and in time. It’s also important to familiarize oneself with the different kinds of grants that the organization can apply for. Fees for goods and services from the private sector – These include items such as membership dues and event tickets. Membership dues are the monthly or annual contributions made by individuals who are members of the non-profit organization. Other non-profits rely exclusively on event fees. Such organizations schedule several meaningful events on a regular basis. Once an individual creates a business plan and identifies possible sources of revenue, the next step is to incorporate the non-profit. It is done by filing the necessary documents based on the regulations of the state in which the non-profit is being incorporated. In a majority of states, the documents are referred to as the Articles of Incorporation. Incorporating the non-profit is a crucial step as it reinforces the confidence of the investors and donors in the project. Remember to register the non-profit under section 501 (c) (3) of the US Tax Code, exempting the organization from federal taxation. The board of directorsBoard of DirectorsA board of directors is essentially a panel of people who are elected to represent shareholders. Every public company is legally required to install a board of directors; nonprofit organizations and many private companies – while not required to – also establish a board of directors. will be in charge of making decisions; it’s important that one recruits the right members for the board. Apart from being competent and skilled, the board members that one chooses should portray integrity and be sincere to the cause. Upon selecting the members of the board, the individual should inform them of the organization’s future goals and how he intends to scale up the non-profit. If an individual identifies a need for forming a non-profit organization, there are a couple of steps he should follow to get started. They include carrying out intensive research, finding the right name, creating a business plan, looking for financiers, and ultimately, registering the non-profit based on state laws.